Hold your smartphone or business cards in the front compartment for easy access. 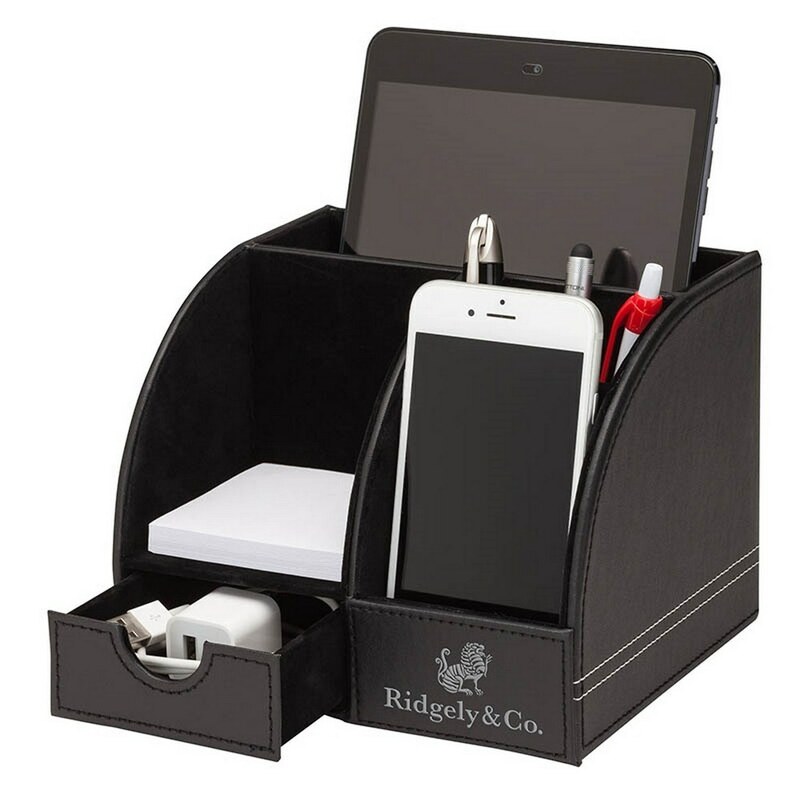 Also features a pen holder, keeping your writing utensils on-hand at all times. This Sandro Desk Box features contrast white stitching for a sophisticated look. Box includes a 100 page paper pad for jotting down quick notes and reminders. Letter holder on the back of the box is also capable of holding your small tablet. You can easily insert your brand details to create customized giveaways for promotional events.